On Cape Town beaches, you’ll find the holiday experience of a lifetime just for you – whether you’re a sun-worshipper, a thrill-seeker or a nature-lover. Our accommodation specialists have put together an enticing list of beaches, to give you a glimpse at what you can expect from the coast – along with our favourite beachfront villas and apartments in each area. If you’re looking to catch the perfect wave, or unwind in the shade of a palm tree, Cape Town beaches give you a beautiful environment where your holiday dreams become a reality. Cape Town is famed as the place where two oceans meet – the warm Indian Ocean from the East Coast flows into the chilly Atlantic from the West, mixing together at Cape Agulhas. If you visit the Cape Agulhas shoreline, the signs and beach guide markings will lead you to the man-made line – showing where the two oceans converge. This meeting of warm and cold currents means that the local list of beaches has a wonderfully diverse set of opportunities to explore. 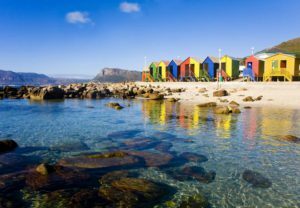 The beaches of Cape Town’s Table Bay – with sparkling white sands and icy waters – are great for sunbathers, while the milder temperature of the sea in False Bay is a haven for SCUBA divers, surfers and swimmers. Where are the best beaches in Cape Town? 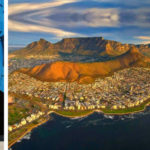 Discerning holidaymakers will tell you it doesn’t get better than the Atlantic Seaboard, the area spanning the distance from the Waterfront to Hout Bay – it’s also known as “Cape Town’s Riviera”, and plays host to stunning Cape Town beaches where the fun never ends. Hout Bay beach: This sandy golden bay loves families at play. Take a refreshing swim in the surf, or head to the Hout Bay harbour for activities like fishing, boat tours or sea kayaking. 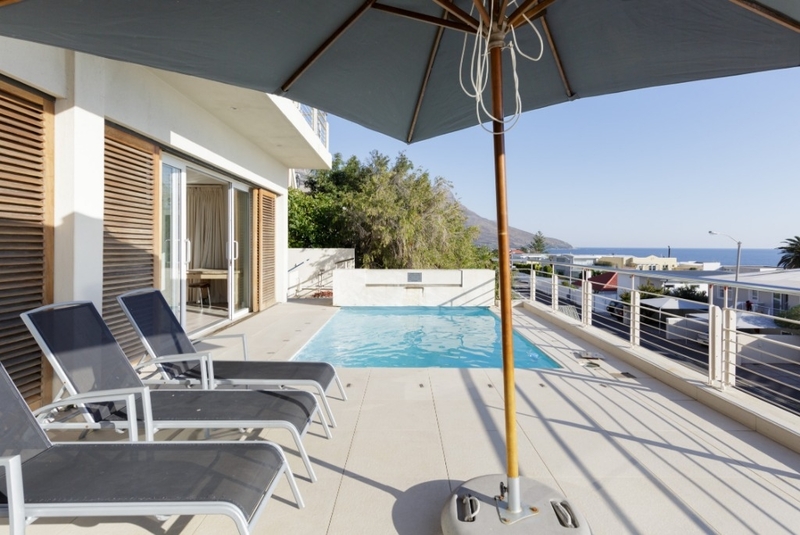 Beachside Hout Bay accommodation: Hout Bay’s uplifting Thyme Villa is 2 minutes from the sand, meaning all the fun of this beach is right on your doorstep. Just think, you can bask in the sun all day, then collapse into the comfort of your own private beach villa in mere moments! Thyme Villa sleeps up to 10 people, and has views of Cape Town beaches as impressive as any of the terrific lookout points along Chapman’s Peak Drive. Bakoven beach: One of the most secluded Cape Town beaches, this tiny cove is beloved by sun-seekers who enjoy their privacy. If you’re lucky enough to find space on the sheltered white beach of Bakoven, you can look forward to an uninterrupted tanning session next to the blue Atlantic. You might even spot a movie star or two! Beach living in Bakoven: Views Terrace overlooks the hidden enclave of Bakoven beach, which is reserved for locals. You’ll enjoy access to one of Cape Town’s wealthiest beaches, with an easy retreat to your air-conditioned villa should you need a break from the heat. Views Terrace has 7 en-suite bedrooms and sleeps up to 14 – but we’ll let you decide if that’s a secret you want to share with anyone else. If you want something truly unique from your CT beach holiday, Simonstown on the South Peninsula has a real treat in store for you. Simonstown beaches: In this historic naval village, you’ll get the chance to meet celebrities of the feathered kind! Boulders beach hosts a colony of playful African Penguins, and these charming little creatures will steal your heart. An afternoon at Boulders means swimming in a calm False Bay cove right alongside the famous penguins – an experience very few Cape Town beaches offer. What an amazing opportunity for a holiday photo-shoot with a difference! 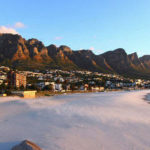 Clifton & Llandudno beaches: For those who prefer a trendier holiday destination, the beaches in Cape Town’s prosperous Clifton and Llandudno suburbs are where the rich and famous hang out. Relax next to local business tycoons and international VIPs on the powdery sands – you’ll end each day feeling sun-kissed and star-struck. 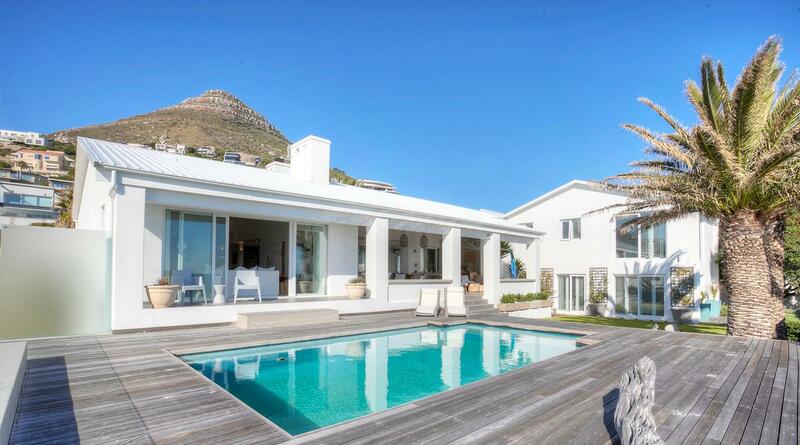 Luxury villas in Llandudno & Clifton: This world-renowned stretch of coastline offers a variety of properties bordering right on the local Cape Town beaches. Clifton Comfort is a distinctive holiday apartment opening straight onto views of the beach and the ocean. With accommodation for 4 people, it’s great for a getaway with close friends. For the ultimate in luxurious beach living, book a place at Amanzi Villa, which allows you to step straight off the pool deck onto the rocks of Llandudno beach. This beach guide highlights only a few of the amazing places you can explore on your next trip. However you choose to spend your time on your dream Cape Town vacation, the Mother City has a beach or ocean experience waiting for you that you will never forget.